So I have never seen the movie Four Weddings and A Funeral, and I can honestly say that none of these events were as life changing as any one of those events, but I am hoping that this format can bring us up to speed on our recent family adventures. As a big portion of the country is getting ready for winter, we are entering the time of year which is really why you live in Florida. Beach days are even better now because the water is still warm, The temperature is cooler (upper 80’s), and the beaches are empty. 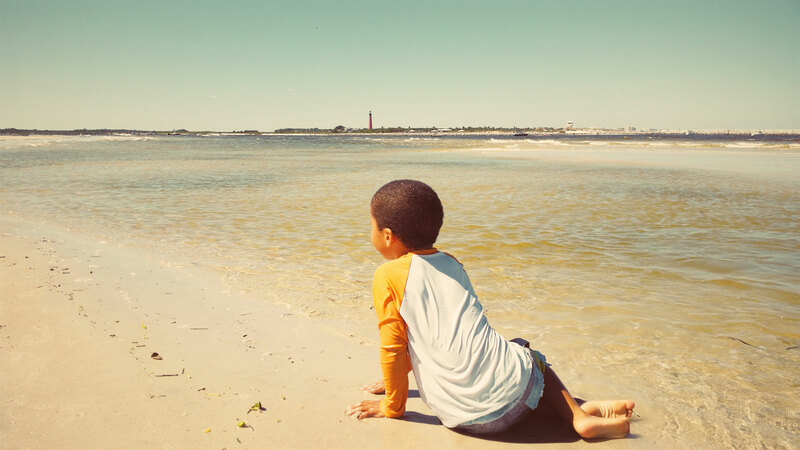 We decided to spend a family day at the beach located in one of the nearby state parks. 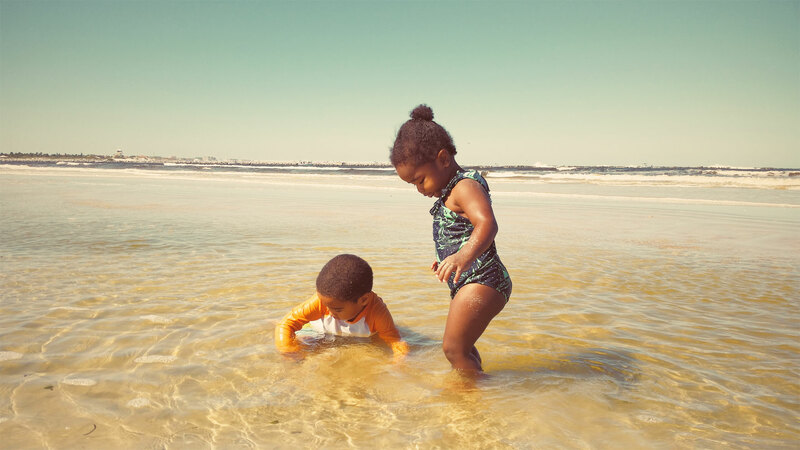 We arrived during low tide, which had created multiple pools along the beach that became a playground for Nolin and Grace. 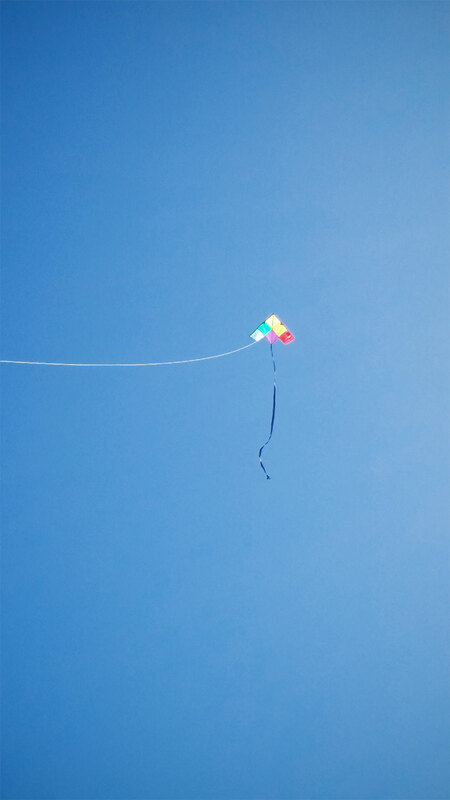 We were at the beach for about 5 hours during which time I don’t think either kid got out of the water, except to briefly fly our kite, to pull each other in the wagon, or try and befriend everyone who passed by with a dog. This lead to Nolin telling most people that he only had pretend dogs at home, and that he would love to have his own dog…I thought we would have longer before I started getting pressure in this arena. For now I am still holding firm, but know it will only be a matter of time before I break down. Hopefully at that time we will have at least managed to get our current chaos under control before we add a new element of surprise to the mix. 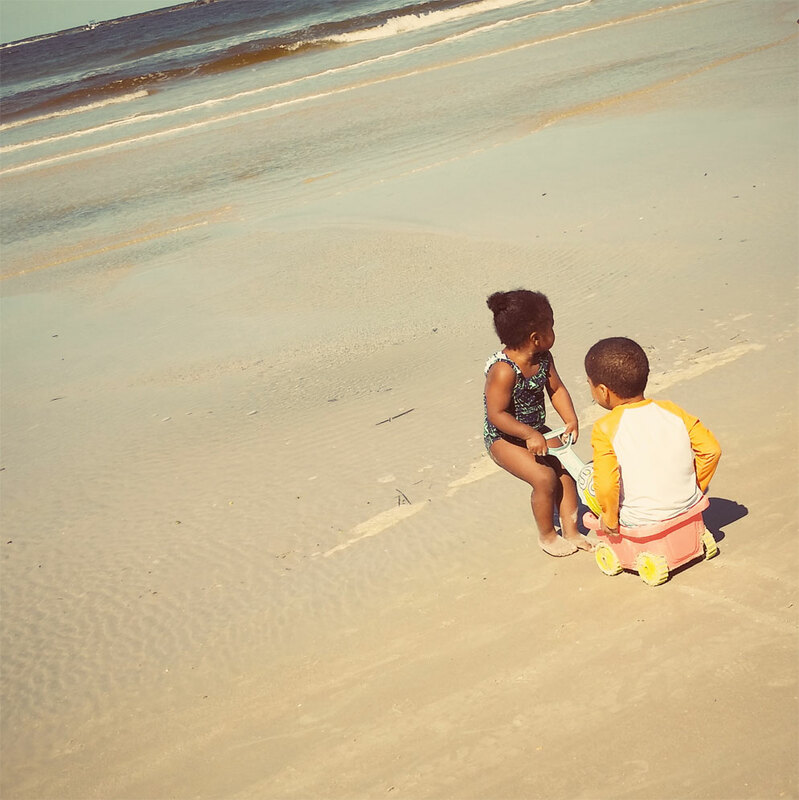 We left the beach a little after 6 and both kids fell asleep shortly after. Jenn and I had no idea what to do with all this extra time…so we did nothing. 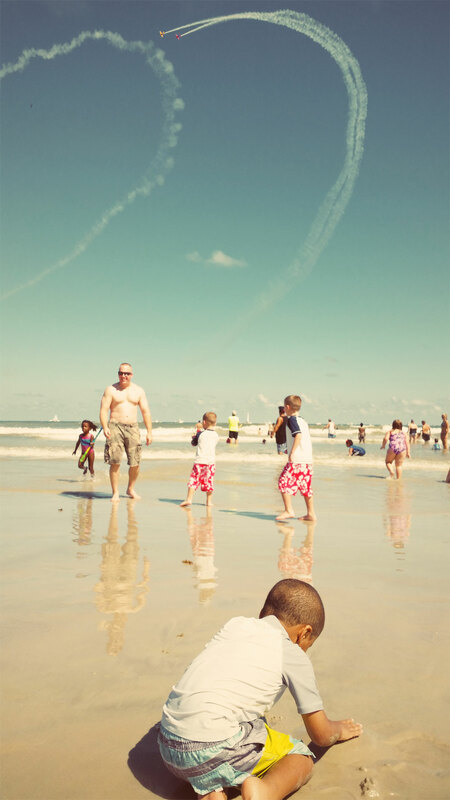 What’s better than a weekend day at the beach?! 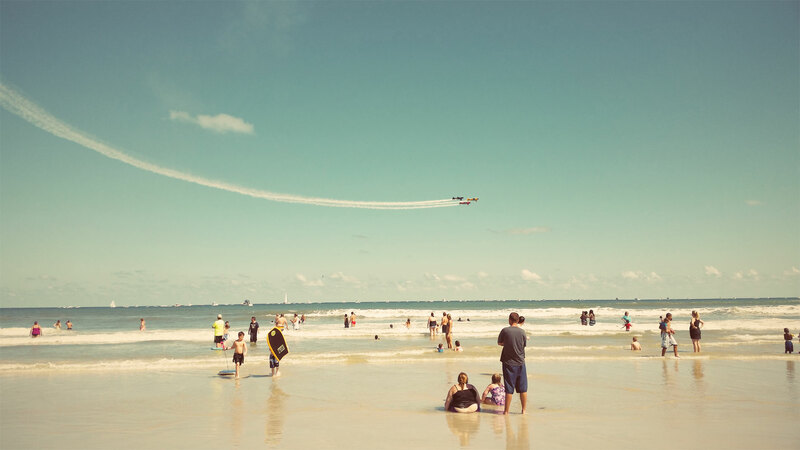 A weekend day at the beach with an airshow overhead. 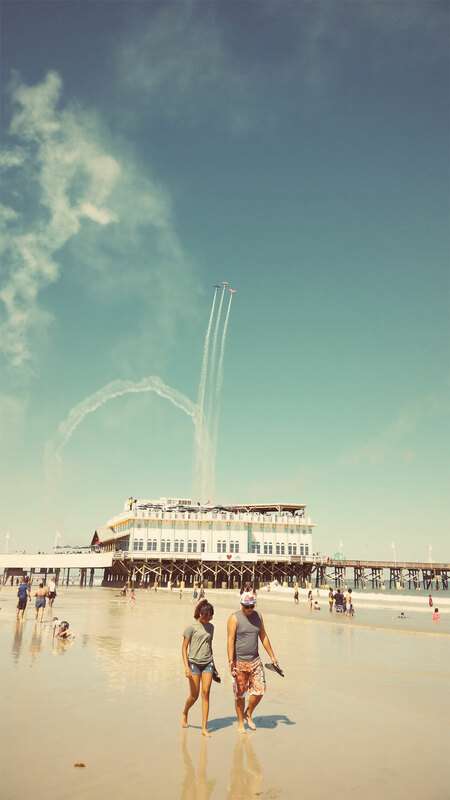 After a good week in school, a week preparing for our neighborhood garage sale and another round of amazing weekend weather, Pap Pap and I decided to up our game and take the kids to the Daytona Beach airshow. We packed the car and headed to the beach and left Jenn & Grammy to work on the next week’s community garage sale. After finding pretty easy parking we arrived to the most crowded beach I have seen in a long time. 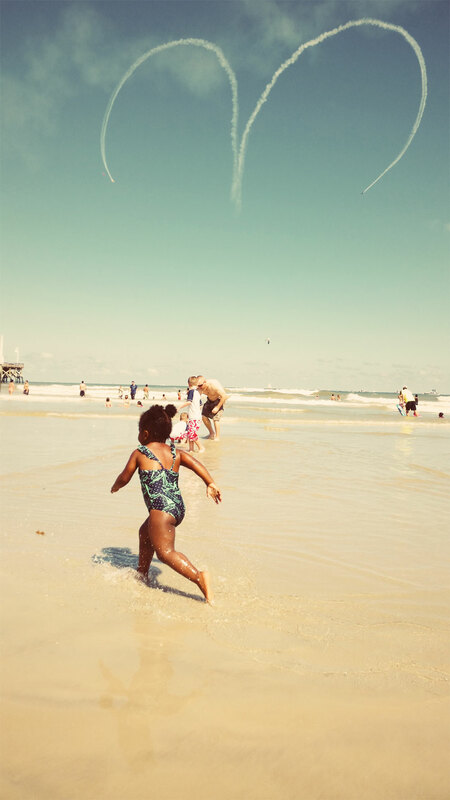 This created issues because you now had to contend with keeping an eye (and hand) on two small children (and one large child) with hundreds of people in the water and planes doing loops and dives directly over head. 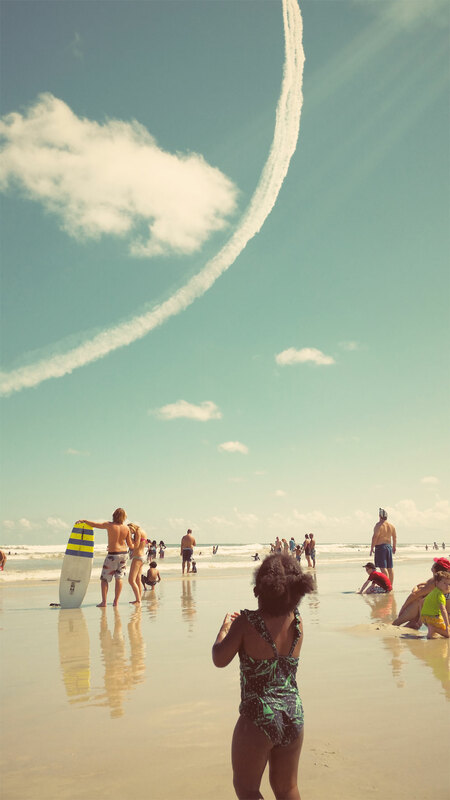 Nolin would look up at the planes, get knocked down by a wave and jump back up thinking this was the coolest thing ever. His lack of fear was more than made up by my constant fear. 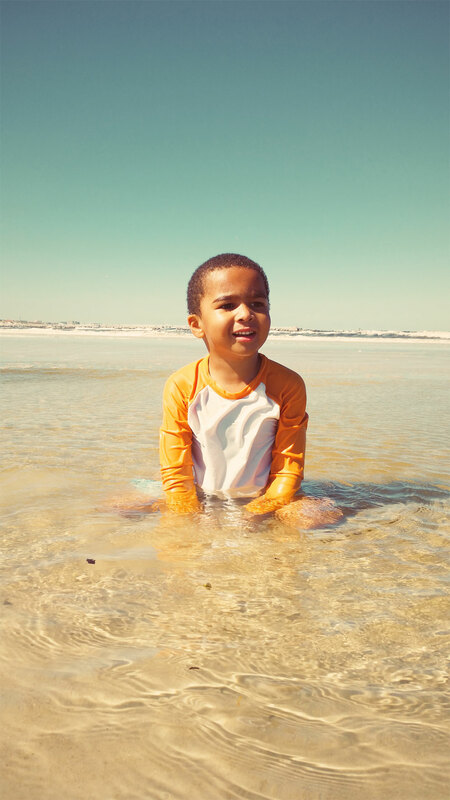 He never left the water and was more eager than ever to see how far out in the ocean he could go (as long as Pap Pap or I were beside him). Grace wasn’t quite as adventurous. She stayed basically in less than ankle deep water and met several friends to play with. Kind of like Ladybug Girl’s day at the beach, she wanted to love the ocean, but this was just busier than she is used to. If Pap Pap or I were heading out deeper in the ocean with Nolin, she would start to run after us to be part of it. Then she got in to about her knees and would immediately hightail it back to safer waters. Regardless, she loved it and must have run at least three miles that day. 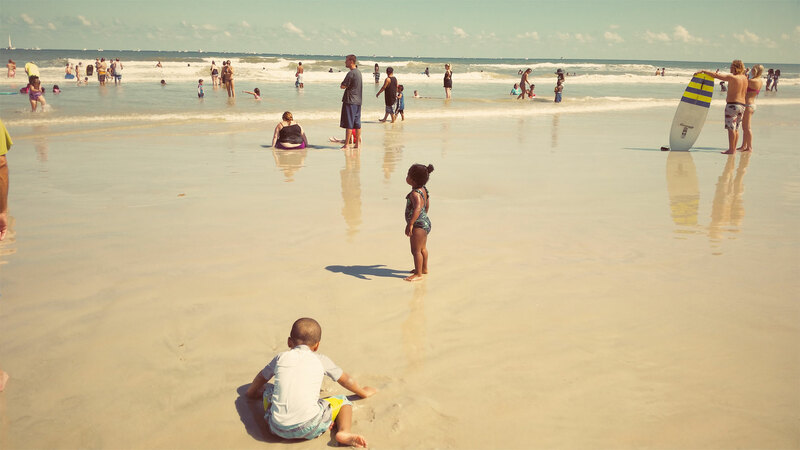 As I mentioned earlier, I basically had three kids at the beach with me. Pap Pap was the third. The only thing that could have made this day any better was if they somehow had a garden and bugs there too. 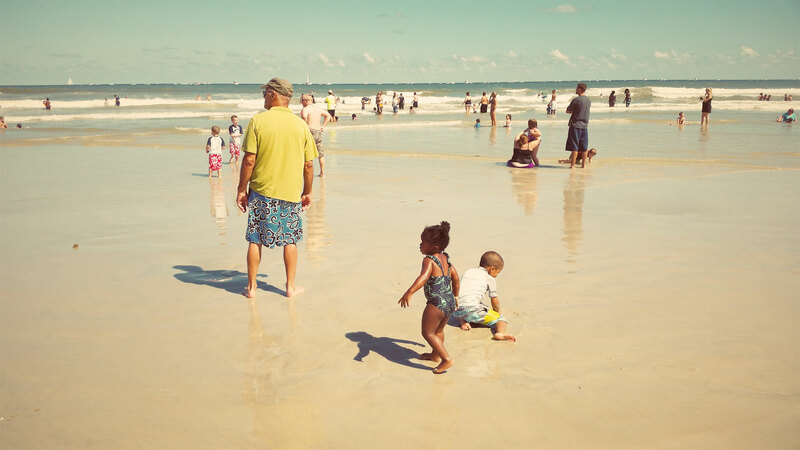 He had the beach, his grandkids and planes and could have stayed forever. Plan in advance: Don’t think if your wife is lovingly packing everything that all you need to be responsible for are kids, keys and grandparents. 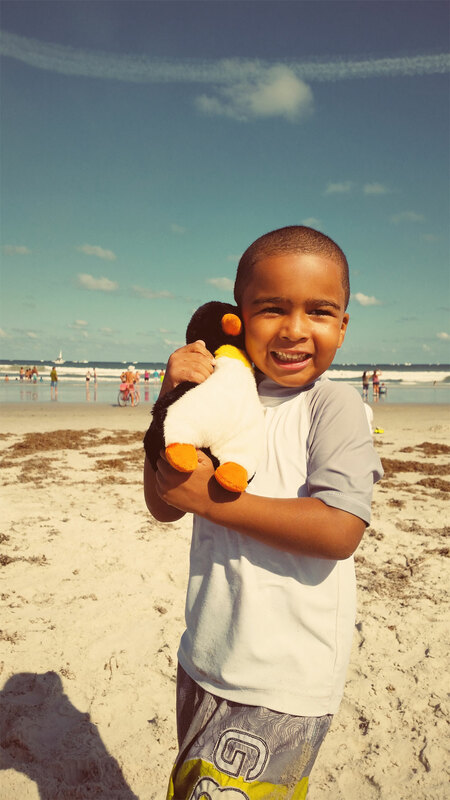 After we arrived at the beach, I realized I forgot to get Nolin’s shoes and left the completely stocked cooler at home (but I had the beach towels). A Top Gun tower buzz is cooler in the movies: While multiple fighter jets sneaking up and buzzing you at a few hundred feet above sounds like an awesome finale, what it really is…is a finale. All of the sudden two kids who have been in the sun all day, haven’t really eaten lunch (see #1) and have just had the crap scared out them, tend to not want to stick around to find out what happens next. All both kids could talk about on the way home (except for when Nolin was playing the quite game which he is really awesome at these days and can provide 15+ minutes of silence) were the planes. Apparently the pure terror that ended the day quickly vanished as soon as we were in the car.